Fire & Ice Castle by Sam Scholes. A photographer has discovered a spectacular way of keeping warm during winter – using fire to heat up icy locations. 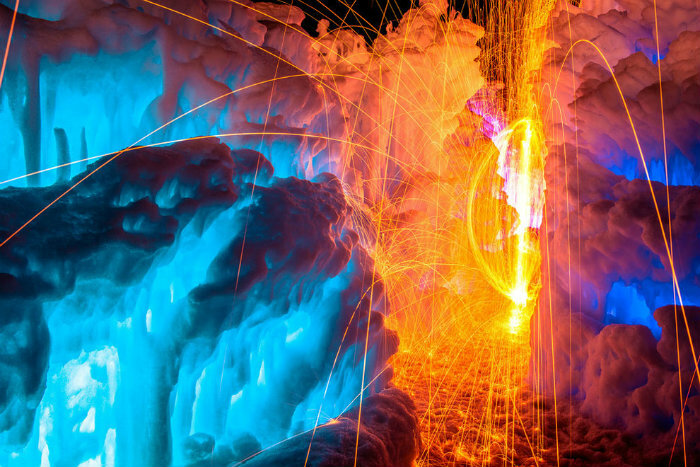 Sam Scholes uses long-exposures to capture the movement of fire in front of ice-covered backdrops. After lighting steel wool his friend Scott Stringham swings the flaming object in order to make swirling patterns. 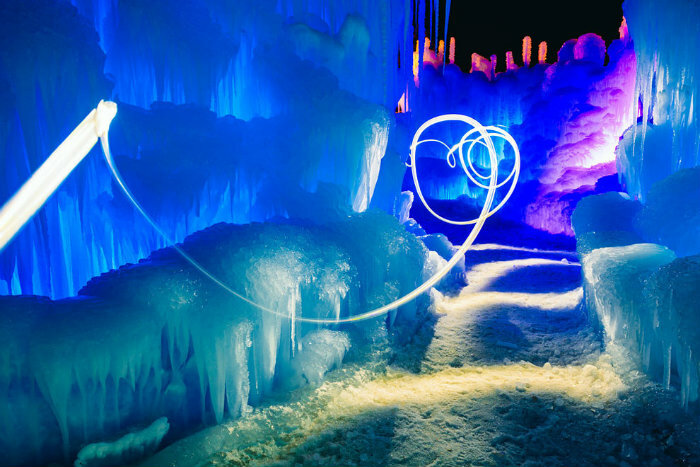 The result of this technique – captured at Midway Ice Castles in Utah is a vibrant image with the warm light dancing across the cold scenes. via Magical Fire and Ice Castle » Design You Trust. Design, Culture & Society.. This entry was posted in PHOTOGRAPHY and tagged Castles, Popular. Bookmark the permalink. ← ‘Lady! No’…’Not in Ohio’.